After the village of Premeaux the vineyard is reduced to a vine length of about 200 m at the height of the village of Corgoloin. It is the place where the coast is the finest. The mountain falls of altitude and the administrative limit of the appellation of wine of Burgundy Côte de Nuit village stops in the closed of the Langres, on Corgoloin. Two communes: Prissey, associated with Premeaux, and Comblanchien, known for the limestone that one draws from his quarries. 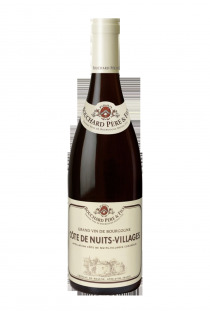 Both possess a few terroirs suitable for a communal appellation. But the areas of these three communes being too small to have an individual appellation, Brochon and Fixin were associated there, to constitute this unique appellation Côte de Nuit Village. There are very good red wines at reasonable prices.